It was quite depressing to see the posts that people shared on social media after the crazy parties of LaBoracay. Trash could be seen everywhere, including in the ocean, and it made me feel helpless because I had no idea how I could help from here in the city. Fortunately, Globe came up with a great initiative. 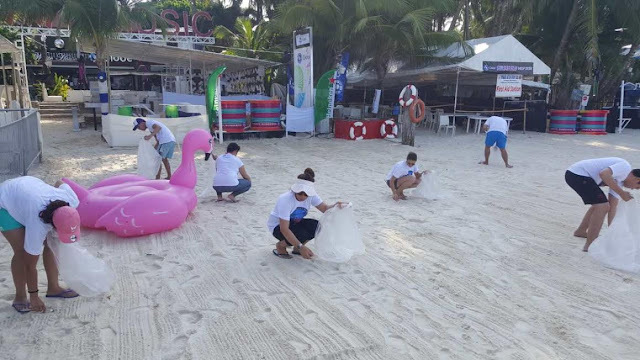 While Globe did host the #GlobeSunkissed party at White House during the long Labor Day Weekend, they also spearheaded a beach clean-up to try their best to bring Boracay back to its pristine condition. "Our employees, partners, and clients have come together to mitigate the impact of the weekend activities on the beach of Boracay. While giving local customers and tourists the best weekend party at LaBoracay, we also exerted effort to ensure we don't compromise the natural beauty of the island,” said Yoly Crisanto, Globe Senior Vice President for Corporate Communications. 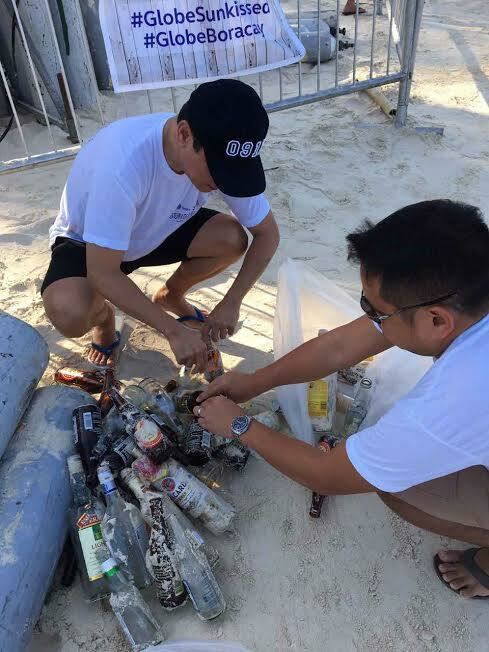 In anticipation of the big volume of trash that is often left behind after huge gatherings, Globe organized a team of volunteers to scour White Beach, Station 1 every morning at 7-9 am from April 29 to May 1 to rid the area of garbage. If not collected properly, this may cause health and environmental problems to the community. The 46 volunteers include Globe employees, media partners, Solid Waste Management team of Malay local government, and representatives from Cambridge University Press. Together, they collected empty bottles, plastic containers, cigarette butts, and biodegradables which were segregated accordingly. A total of 130 bags full of trash were collected after three days. In parallel, some volunteers also designed new trash drums decorated with water-based paint, which were left as donations to Sea Wind and White House resorts. 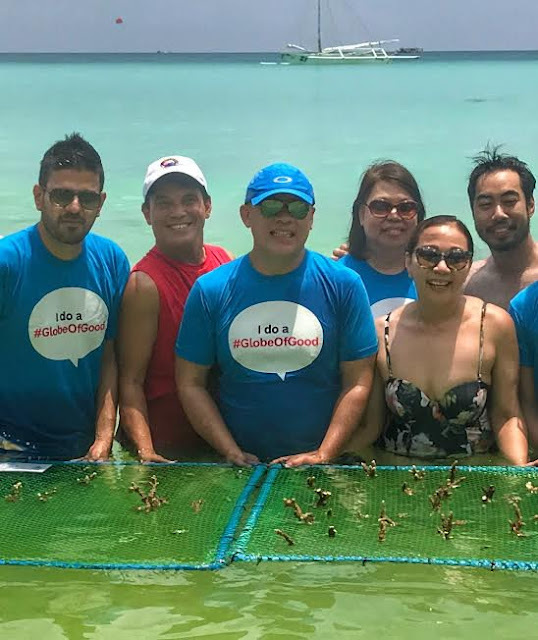 Apart from the beach clean-up activity, 25 Globe executives and guests also participated in the planting of coral fragments in nursery rafts provided by Boracay Foundation, Inc (BFI). The corals will later on be transferred to BFI’s identified underwater nurseries. BFI is a non-profit, non-stock association aimed at sustaining the island’s environmental, business, and social needs. The activity aims to raise awareness and educate the public, especially those visiting the island, on the importance of coral transplantation. This is one way to help ensure marine life biodiversity, environment conservation and sustainable eco-tourism. This is a great move by Globe. This does not only help protect the environment, they are also drawing more tourists to Boracay. Great post about save the world. Wow, you are a good man, so beautiful nature. I want you to take care of nature is encouraged.